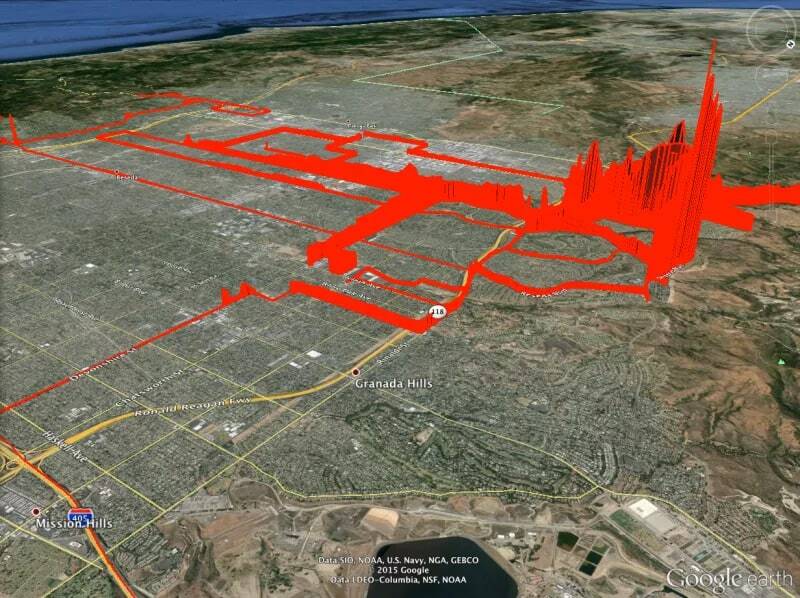 Data visualization shows the methane plume from the Aliso Canyon gas leak in red. 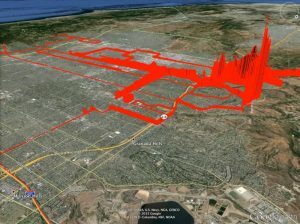 Three years ago, a blowout at the Aliso Canyon natural gas storage facility forced thousands of nearby families to evacuate their homes and leaked over 100,000 tons of methane and other harmful pollutants into the atmosphere. The facility’s operator, Southern California Gas, wasn’t prepared for the scope or scale of the disaster that unfolded over four months. The disaster demonstrated the risks of under-regulated natural gas storage sites, as well as the importance of not being over-reliant on natural gas. Regulators in California and across the country realized the need for better oversight and management. As a result, California’s Division of Oil, Gas and Geothermal Resources (DOGGR) recently finalized new rules for managing the risky, industrial enterprise of underground gas storage. These rules are a foray into an underdeveloped policy space, and are the product of collaboration with stakeholders including national laboratories, the environmental community, and the federal government. The rules include about three dozen leading-practices that EDF and local safety experts — including the LA County Fire Department — advocated for, and help safeguard communities living near gas storage sites. Other states and the Pipeline and Hazardous Materials Safety Administration – which is considering similar rules for gas storage sites across the country — should pay attention to what California has achieved. These rules require a detailed assessment of the equipment and practices at each gas storage facility, which tailor construction, operations, maintenance and testing requirements to each facilities’ unique risks. Crucially, the state’s risk management planning process for gas storage aims not just to mitigate, but also prevent risk, and includes frequent, state-reviewed updates to the plans based on changing conditions. The new process also dramatically beefs up data submission requirements to help both operators and state regulators make intelligent, fact-based decisions about site operations. The best way to prevent an emergency is to build, operate, and maintain a facility according to leading practices. Accidents are always possible, but preparation can prevent a small leak from turning into a life-threatening, multi-billion dollar ordeal. As noted above, one of the main takeaways of the Aliso Canyon disaster was that the facility’s operator, Southern California Gas, wasn’t prepared for the scope or scale of the disaster. Under better circumstances, the company’s early response could have stopped the leak entirely. Unfortunately, the initial response was uncoordinated and ineffective. California has now adopted many leading practices to enhance emergency response planning; they include established lines of command, public notification, training, drills, and regular plan updates. Like many gas storage facilities in California, Aliso Canyon had wells approaching 70 years old, and between poor corporate maintenance practices and inadequate testing requirements, some kind of leak was almost inevitable. The new rules enhance surveillance at each well to detect potential problems before they become disasters. Monitoring requirements at California’s gas storage facilities will now include daily pressure monitoring, methane leak detection, and a suite of thorough annual or biennial subsurface tests, depending on risk profile. Further, by 2020, all gas storage wells in the state must be equipped with continuous monitoring technology that can send automatic alerts when irregularities are detected. These measures can dramatically reduce the risk of an unintentional release of harmful gases. California’s rules give other agencies a thoughtful and robust starting point for developing gas storage regulation. Additional steps – like enhancing no-notice drills, establishing metrics for assessing training competency, and requiring annual updates — could improve safety at other well sites across the country. The risk management process could be enhanced by requiring operators to allocate adequate resources toward implementing the risk management plan. It would also be prudent to call for evidence that the plan is in practice with buy-in from executives down to field personnel. Some of this can be overcome with stringent enforcement of the rules. In fact, much of this program’s success will depend on consistent, high-level implementation by DOGGR. Overall, DOGGR’s gas storage regulatory program represents a major improvement over the previous standards, and it will help safeguard communities living near natural gas storage facilities as the state considers the long-term role of natural gas. Not every rule is applicable everywhere, but California is now a leading laboratory for innovative policy solutions to problems many states, as well as the federal government, share. This is a high water mark in gas storage regulation in the United States, and should set a precedent other policymakers should seriously consider. This entry was posted in Aliso Canyon, California, General, Methane, Natural Gas and tagged Gas storage. Bookmark the permalink. Both comments and trackbacks are currently closed. 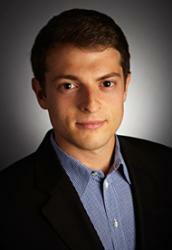 As an Attorney for EDF's US Climate and Energy Program, Adam focuses on natural gas regulation and policy.